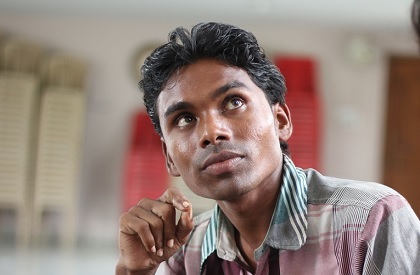 BHOPAL: Vivek Parte, 25, never allowed his physical constraints to stop him from crossing any barriers. Overcoming his orthopaedic disability and modest family background, this young man from Harda is now succeeding in making life of fellow disabled smoother. Working under a UNICEF-supported project – Changelooms of NGO Synergy Sansthan – Vivek has made multiple interventions that have and are poised to bring better services and facilities to differently able people of the district. It was recently upon Vivek’s intervention through repeated memoranda at the weekly public hearing at district collector office that the collector directed for ensuring an ENT specialist at the district hospital. “The hearing and speech impaired people were facing a lot of difficulties in getting their disability certificate as there is no specialist available at the hospital. Now the collector has directed presence of a specialist every Tuesday until permanent appointment is made,” a happy Vivek shares. Also, Vivek was instrumental in getting disability certificates of eight persons made. He also helped a hearing and speech impaired girl get an assistance of Rs one lakh. In another major move forward, the Harda MLA Ram Kishore Dogne has written to state government to open special hostel for disabled students in the district. The MLA’s move came following request letters by Vivek under his ‘Divyang Drishti’ initiative. Also Vivek has submitted a demand for disabled-friendly entrance to district collector office in Harda. He cited that the gate number 2 of the collectorate was a difficult access to disabled people. “Vivek has the grit to take up issues and get them resolved at all levels possible. His confidence and willingness to take initiative are contagious. He is an asset to the changelooms project and a great friend to disabled community in his project area,” Vimal Jat of Synergy Sansthan says.